Sometimes I put on a record and just know that my experience would be so much better if I had a certain lip color on or a certain cocktail in my hand. Have you ever listened to “A Little Drop of Poison” by Tom Waits? Tell me that would not sound better in a lacy garment, sheer robe and lots of sauntering. We ALL know that any kind of warm beach is a perfect fit for a Herb Alpert and the TJ Brass record and that New Kids On The Block just sound better when the listener is wearing a custom made “Homeboy” Donny Whalberg homage tank top (I will neither confirm or deny that I have said “homeboy” tank hanging in my closet). Like fine wines and stinky cheeses, some things are just a good fit. Songs, albums, books and films just beg for you to take them in as an experience. Welcome to the “So You’re...” feature of Primpin’ Ain’t Easy. 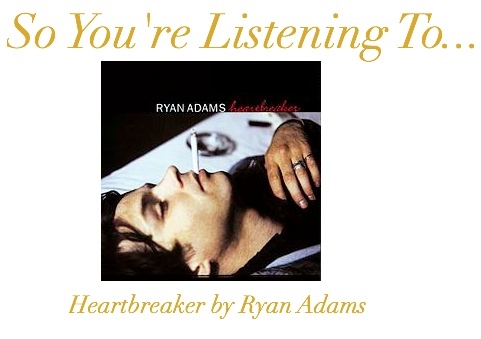 There is no doubt that Ryan Adams' Heartbreaker is a force to be reckoned with; it's a very raw and relatable record. Let me just preface this by saying- I really love music. I love all music. I’m not going to High Fidelity anything on this blog. I am not a Nick Hornby style neurotic protagonist who feels the need to document my life in lists and cultural reference superiority. I am a feisty nerdette who can appreciate the Biebs and the Beatles. I have the ability to meet things where they are at and appreciate the genius and the mindless simultaneously- i.e., I can enjoy both the book and the movie. Raw Hem Denim Shorts / Mossimo Supply Co. The South (particularly Tennessee, Georgia and the Carolinas) holds a very special place in my heart. One of my best friends (Erica) lives in Atlanta and I try to get out to visit her whenever I can. There is a unique brand of quirky swag in the South and I always think of it when I am listening Heartbreaker. 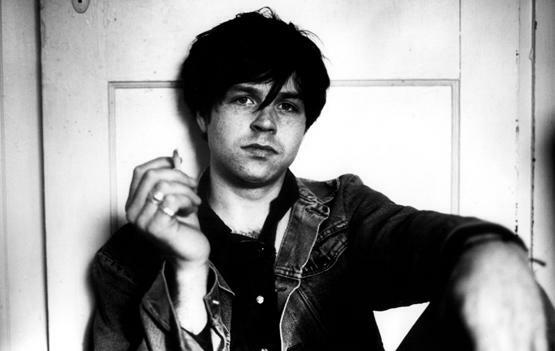 Erica introduced me to Ryan Adams’ music a long time ago, but only in the past couple years have I really listened to him regularly- so yes- I did miss the glorious summer of the Dr. Adams Tumblr. Somehow I think I'll survive. When I’m listening to the jams on Heartbreaker I get an intense urge to throw on a pair of boots, chunky retro glasses and nurse a beer. Seriously, if you haven’t heard this record- it’s a must. I can (and frequently do) listen to “Come Pick Me Up” and “Oh My Sweet Carolina” on repeat. For whatever reason, I just associate Ryan Adam’s brand of country hipster cool as a blend of southern classic, Nashville love with a little dash of Empire Records employee.